Everyone wants to look young always. Being a Mommy to my 5 Little Angels, I too wanted to looks and feel young again like in my 20's but age catching up and I need to have supplements to ensure my body had enough nutritious. So, let me try a new product just launched i.e. 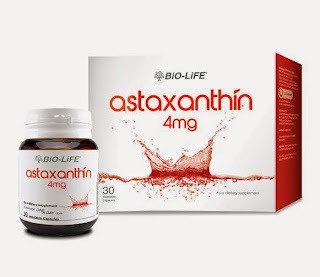 BiO-LiFE®’s Astaxanthin 4mg! 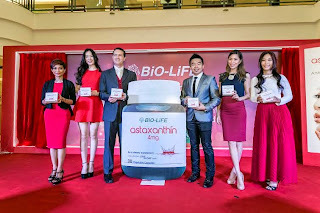 BiO-LiFE® Astaxanthin 4mg, a dietary supplement of pure anti-oxidant to address aging skin. A capsule of Astaxanthin a day helps to reduce age spots, pigmentation, fine lines and wrinkles, and helps to improve skin moisture, texture, and elasticity. The ‘superstar ingredient’ – Astaxanthin – is a red pigment renowned in scientific circles as an antioxidant, with various additional benefits that would be right at home with those who regularly walk on along red carpets. Women who lead active lifestyles and, who are always on-the-go are more exposed to ultra-violet (UV) light which causes skin damage. UV light and air pollution creates free radicals, which in turn damages collagen, the main structural protein of connective tissue in the body and the key substance that gives skin its firmness and elasticity. In our youth, skin remain plump and smooth because the body generates plenty of collagen, but as we age, production slows, and existing collagen is damaged by oxidative stress caused by these free radicals resulting in wrinkles and sagging skin. The Red Carpet Affair was graced by Malaysian celebrities including Joanne Yew, Atilia Haron, Nadia Heng and Ee Fee. 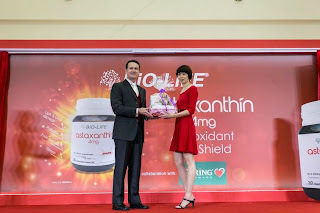 Patricia Lim wins Astaxanthin Star Blogger Award In conjunction with the product launch, beauty blogger Patricia Lim, owner of Tenshichn.blogspot.com, was awarded the Astaxanthin Star Blogger Award. Ten bloggers (from left to right) i.e. 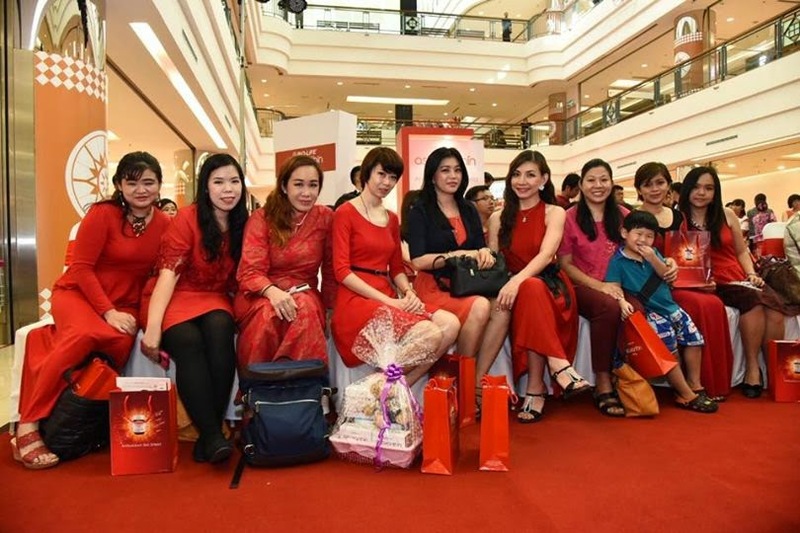 Sherry Go, Leona, Miera, Patricia, Kelly, Elana, Wee Ling, Ella and Kylie were shortlisted to participate in the Award to vie for the title and products worth RM1000. 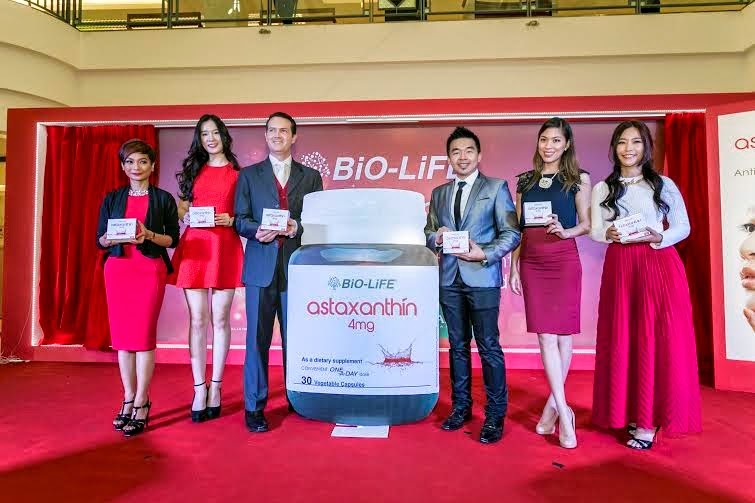 Patricia Lim was selected from a panel of judges including members of the BiO-LiFE® Astaxanthin 4mg team and the guest celebrities. 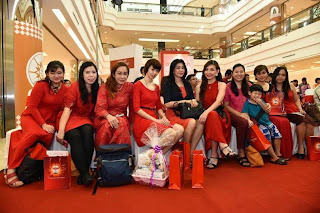 The participants had to sample the product over a period of one month, snap a ‘before’ and ‘after’ close-up photograph of their face without make-up, and summit a photo entry dressed in their most glamorous red attire. 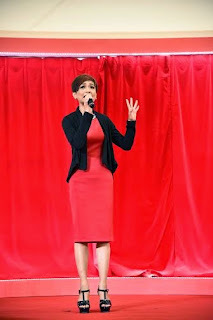 Winners were judged based on their skin improvement and the overall ‘glow’ effect, and their commitment to educating their readers with sound beauty advice through their blogs. Congrats to Patricia Lim.